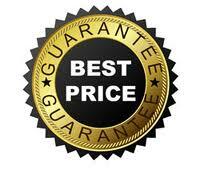 We have Five Fixed Prices and could rescue and retrieve your files from as little as £59. We do not charge for delivery of your files. We do not take any money of you up front. We do not charge extra for Sandisk memory devices. On request we can send proof that we have recovered your files. You can pay us securely with Paypal. We send all files by recorded delivery as standard (Special delivery for 48 & 24 hour customers). In the unlikely event that data recovery is not possible then we will return your USB device, free of charge, at no cost to your self. Please note that our service starts from the moment we recieve your Broken USB device. Please allow time for the UK postal service and be aware that first class mail is no guarantee of next day delivery! All priority cases should be sent via SPECIAL DELIVERY.